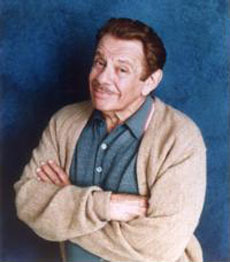 Jerry Stiller has been a mainstay of American comedy for almost 50 years. Stiller's first performance was in a Chicago production of Showboat, but his biggest success came from performing as "Stiller & Meara" with his Irish bride, Anne Meara. Their schtick: he was the Jewish guy married to an Irish bride. They performed as a team for over 20 years, appearing on The Ed Sullivan Show more than 30 times. They weren't confined to comedy, either -- they performed in Joseph Papp's "Shakespeare in the Park" in New York city in the 1950s. Stiller started appearing in films in the 1970s, playing serious and comedic roles from a drunken passenger in Airport 1975 to Divine's husband in Hairspray. Stiller & Meara had a television show of their own in 1986, and Stiller played delightful loudmouths Frank Costanza on Seinfeld and Arthur Spooner on King of Queens.